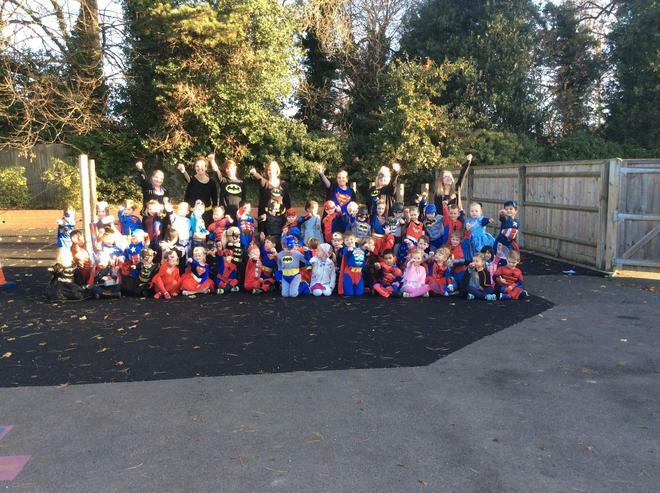 Panda and Giraffe classes enjoyed dressing up as Superheroes as part of our topic work this term. Look at our amazing costumes and even the staff got in on the act. We really did have a SUPER day! We made up our own superhero story which you can read on our website page.